That’s quite a difference in art quality over the years! Here’s an example of a description and art of a creature called a Tabaxi. It’s gorgeous and comprehensive and really helps bring the creature to life. The thought that has gone into crafting creatures and environments and religions and planes of existence and magical items is really impressive. The adventure book I pulled these from has easily a dozen or two such beautifully rendered maps. I don’t especially love the style of the writing in these blurbs, but I appreciate the silliness and the attention to detail. All of this is just to say that D&D has been enjoyable to me not merely because it’s a hobby my son and I have done together and not merely because of game play itself or even because of fun things like dice, but also because there’s this whole culture of art and writing and world building in these books that really appeals to me. In short, it’s a really well fleshed out hobby that’s turning out to tick a lot of boxes for me. I’ve written a few times about things pertaining to Dungeons and Dragons, which I’ve been playing over the last few months along with my son. Initially I developed the interest for his benefit, so that he could have the opportunity to play. The more we immerse ourselves in it, the more I’m enjoying it for myself. Game play can be fun, but there are also just a lot of neat accoutrements. I’ve written about dice towers and DM screens, but I’ve added more trinkets and goodies to my collection since then. For example, you can get neat dice trays to roll your dice into so that they don’t roll all over the place (I have two). You can get dice vaults and boxes. You can get dice bags (of which I now have several). Then of course there are miniature figures for game play, and battle mats for drawing out landscapes for battle, and loads of marvelously detailed and illustrated books (I now have several). Among my favorite accoutrements are the dice. A standard set includes seven dice with different numbers of sides and used to roll for various things in the game. There’s a big variety of dice types, and I just really enjoy seeing the different designs and finishes. My favorites right now are metal dice manufactured by Jovitec and Bescon (I don’t remember which are which). They’ll dent a table if you’re not careful (the dice tray helps avoid this! ), and they just have a really pleasant weight and they roll really satisfyingly. I also have a few sets of the “Ancient” line of Hedronix dice from D20 Collective — Ancient Copper, Ancient Malachite, Ancient Clay, and Ancient Stone — and these look neat at a distance but seem more plasticky up close and are a little sluggish to roll. My other favorite set is a set of dark green sort of marbled looking dice from Chessex. I’ve bought a few other sets too just to have around for others to play with, and my son has a few sets, including a big random grab-bag we emptied into his stocking for Christmas this year. It feels a little silly to be so into dice, but I really do just enjoy getting a new set and having a growing collection. They are, at least, small (I used to collect books). I’ve written about Dungeons and Dragons related things a couple of times now. What was a hobby I had undertaken semi-begrudgingly for my son’s benefit has become something I’ve begun to spend time on for my own interest. I watch Critical Role with interest now (not every episode and not always full episodes, but I’m sort of hooked). 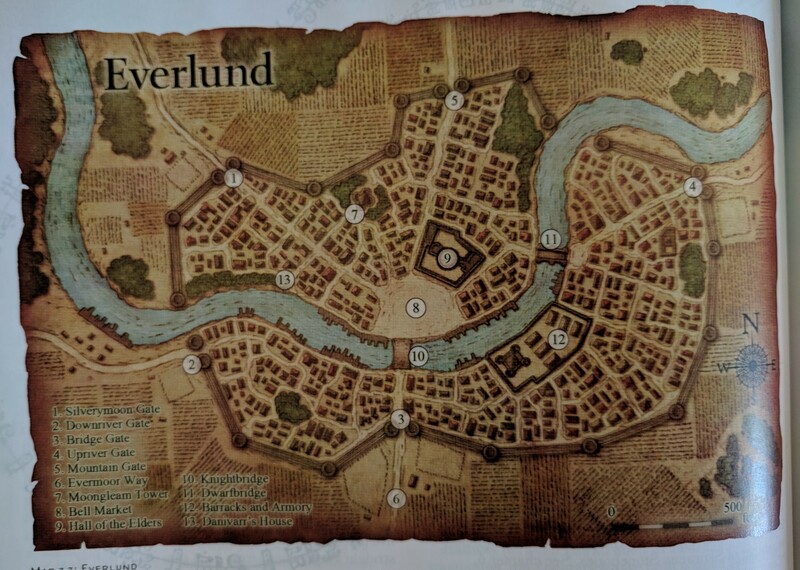 I spent many hours over the last couple of weeks preparing for session three of the Lost Mines of Phandelver campaign that my neighbor and I are running (alternating turns as DM and players) for our kids, and our third session yesterday ran to nearly six hours. I’ve looked at lots of game play accessories (dice, DM screens, dice vaults, dice towers, miniatures, and so on) online, and as a result, I’m now seeing ads for a lot of these things in Facebook, and I click them with interest. Initially, I had sort of sneered at the idea of having a DM screen and certainly at the idea of having a dice tower. Who needs a special box to roll dice when it’s dead simple to just roll your dice by hand? But after I made my DM screen, I began to hanker for a dice tower after all, so I picked up some more wood and made one. What is a dice tower, you ask? It’s an apparatus you can use to increase the odds of a fair roll rather than relying on what might be a bad toss from the hand. The tower is essentially a box with some little ramps inside that a die will carom off of as it descends through the tower and rolls out onto the table (or, if you’re really fancy, into a dice tray). I didn’t take step by step photos as I did when making the DM screen. Construction of the tower was, in theory, pretty simple. But I twice glued the thing together incorrectly and had to dismantle parts of it, sand, and reglue each time. Finally I got it put together correctly and then sanded a little and applied another coat of stain and another of finish. It’s not the best made or most beautiful thing in the world, but it roughly matches my screen and is surprisingly satisfying to chuck dice into. The dice make a nice fast rattling sound as they tumble through the tower. The tower’s height doesn’t match the height of the screen, so I suppose it looks a little weird. I enjoyed having it, at any rate. Wonder what random thing I’ll add to my growing D&D collection next?